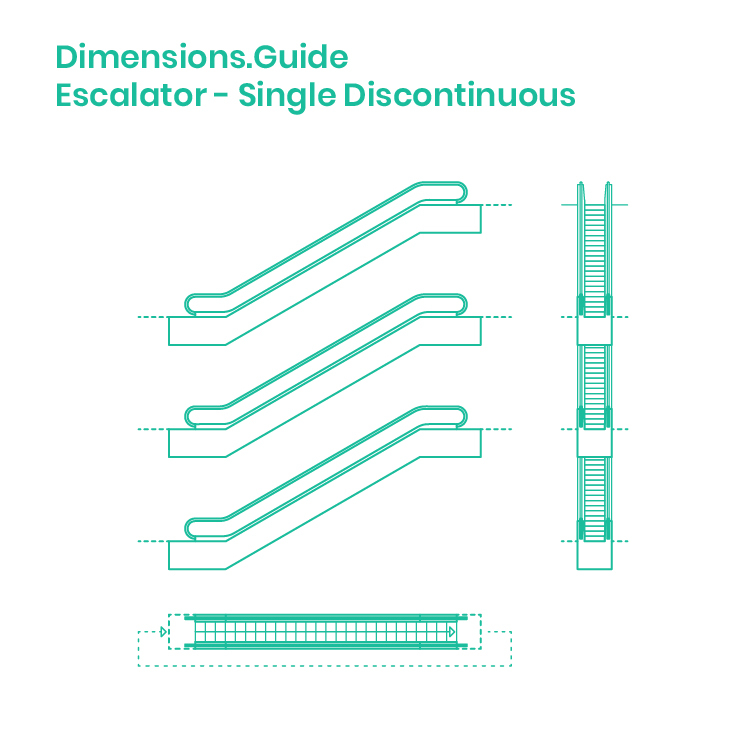 Single discontinuous escalators are stacked escalators that connect levels in a single direction. This strategy works best when space is limited, but the one-way traffic is not efficient for people who want to travel quickly between levels. Single discontinuous escalators are generally used in small department stores and retail centers where the non-continuous arrangement encourages customers to slow down and explore more of the store. This discontinuous strategy can also be used with paired escalators.